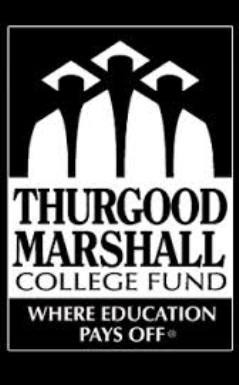 The Thurgood Marshall College Fund and University of Phoenix recently announced a partnership to offer online courses to students at HBCUs across the country. Beginning with a small pilot roll-out in the spring and progressing to full implementation in summer 2015, the partnership is being touted as a potential answer to continued HBCU competitiveness in the higher education marketplace. Thurgood Marshall College Fund president and CEO Johnny Taylor Jr. is hopeful the move will prove to be a way to help curb enrollment challenges and improve retention and graduation rates at HBCUs by enabling students to complete their course loads faster. “It became very clear to me as we’ve had a number of discussions about the long-term viability of HBCUs, that we were going to have to look at new ways to grow market share,” said Taylor. He said that, as the landscape started to shift to make place for online learning five years ago, it occurred to him that “from a purely competitive, business standpoint, [HBCUs were] going to lose if we didn’t … find a way to enable technology to teach, because that’s just where this generation is—and I’m not talking about millennials, I’m talking about” adults who may want to return to pursue additional degrees while managing their careers. Tuskegee alumnus and University of Phoenix CFO Byron Jones was onboard with the initiative almost from the time he landed at the University of Phoenix 18 months ago. Saying he surveyed the technological infrastructure and began to consider the capacity it could provide to HBCUs—of which he, his wife and many members of his family are all products—it occurred to him that being able to offer classes online could provide a huge advantage for the schools, but he realized that, in terms of resources, it may be difficult for many of them to do that. In addition to the flexibility offered by taking courses online—perhaps during the summer while completing internships or in a semester in which all sections of a required course are full—Taylor believes the partnership could open up entirely new course offerings for HBCU students. Imagine, for instance, a student at Ft. Valley State University in Georgia being able to enroll in successive sections of Mandarin, which the school may not have the demand to offer, to fulfill the university’s language requirement. Key, Taylor said, is that the courses are being offered through the home university. “We’re not sending you out to the University of Phoenix,” he said. Jones echoed the notion, saying students must be enrolled in your home school to be eligible for the courses offered through the University of Phoenix’s course catalog. To him, the move makes sense for HBCUs, because a lot of students are enrolling in outside institutions, including the University of Phoenix, to supplement their HBCU course loads anyway and “they’re transferring the credits back. So why not them take advantage of that, rather than me? … Why not a real effort from HBCUs to capture that revenue around” online learning, Jones asked. The way it works, said Taylor and Jones, is the HBCU would pay a small flat fee—“and I’m telling you, it’s really small,” Taylor said. “You can’t buy courses at our schools at this rate right now”—to participate in the program. Students would enroll in the HBCU and, inclusive of the normal semester fees, if the university has signed onto the program, the student would have access to the catalog of University of Phoenix courses at no additional charge. “You don’t deal with the University of Phoenix at all,” said Taylor of students. They pay their schools, enroll in courses through their schools. They are exclusively students of their HBCU, but they have access to all of the resources available to University of Phoenix students, including 24-hour tutoring and writing labs. The partnership also offers a capacity-building opportunity for HBCU professors who are interested in developing online courses, which will help preserve some of the cultural framing interwoven in many HBCU courses. In addition to the online learning partnership, the University of Phoenix will also provide scholarships for HBCU students through the Thurgood Marshall College Fund. Taylor said he doesn’t know if the partnership is going to work, but said since there was no exchange of funds between the TMCF and University of Phoenix, there is no obligation to continue in it if it doesn’t work, nothing binding the groups together.